How to Address Unconscious Biases When Managing Employees | SeibCo, LLC. Our unconscious biases influence our interactions with employees, how we make our decisions and how we manage our teams. It's important to become aware of them. Many of us believe we are not judgmental people. Yet we must make judgments every day about everything from what to wear to work and eat for lunch to who is the best person to handle a project. These often-subjective decisions normally reflect biases that we may not be aware of (pants vs. dresses, sandwiches vs. salads—and our favorite go-to employee vs. our less-favorite employees). It starts with each of us. As a boss, it’s important to become aware of and responsible for our unconscious biases, especially as they pertain to race, age, gender and culture. If we are not aware of them, these biases will influence our interactions with employees, how we make our decisions and how we manage our teams. As bosses, we most frequently run up against our unconscious biases while hiring, coaching, managing and training employees. Whether we agree we have them or not, these biases are usually evident to others, especially when we hire and manage based solely on our guts. They will also show up when we communicate in an insensitive manner or make decisions without factual data. They determine the company’s culture. Biases always impact the company’s ability to hire the right person for the job, coach each employee to succeed, train each team member to develop skills, and manage everyone to meet the customers’ needs in an effective and non-discriminatory manner. Failure to be responsible for our biases impacts our ability to create positive and productive workplaces for everyone. -Provide communication and sensitivity training to boost awareness for everyone. -Conduct mandatory bias-awareness training for all employees, including how to handle perceived biases, and repeat this training quarterly. -Train bosses on techniques for coaching and managing all of their employees. -Review job evaluations and stats on promotions, hires and pay to determine biases. -Put together a strategic and tactical plan to correct inequities, and execute it. -Pay attention to the words you use when interacting with employees. -Stop trusting your gut when making hiring and promotion decisions–objective information will always improve these decisions. -Become aware of stereotypes and how your brain will trick you into thinking jokes, comments or innuendos based on race, age, gender and culture are funny. -Use qualified assessments to help you better hire, coach, manage and train your employees. 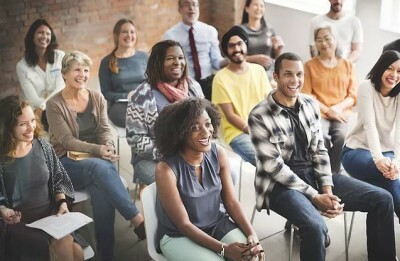 These objective tools create awareness that each employee has unique skills, behaviors, interests and learning styles beyond your biased perception of who they are. Also, qualified assessments provide a foundation for employees to learn and appreciate each other in a positive manner. If you want to build a positive and productive workplace culture, it’s critical to become aware of unconscious biases and be responsible for them. Jeannette Seibly has been an executive coach, business advisor and management consultant for over 25 years. What coaching and guidance do you need to improve your managerial, executive and leadership styles? Are you ready to let go of what you’ve been doing to do something new? Contact Jeannette for a free confidential conversation.